Claire lived on the wild west coast of Ireland prior to moving to Douglas with her family in 2000. She completed Level 3 and Foundation Diplomas in Art & Design at UCM. 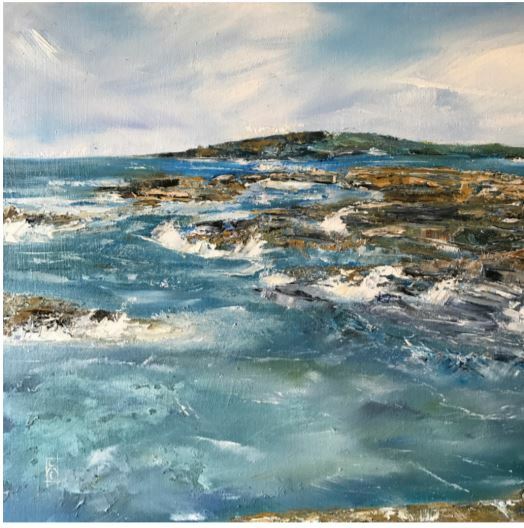 Claire has always loved working in mixed media, but recently she has been working predominantly in oils, revelling in the depiction of striking colour combination and abstract land and seascapes. ​Inspiration for Claire’s work comes from many varied sources. The natural work and our symbiotic relationship with it, human interactions and the highs and lows of our emotions, all have an influence on her work.